If you’re into exploring caves, then you should check out the Skocjan Caves in the Karst region of south western Slovenia. This system of limestone caves is in the list of UNESCO World Heritage Sites which means it is a place maintained by the UNESCO World Heritage Committee. As a natural geological site, it exudes exceptional natural beauty as well as a very good example of an ongoing natural occurring geological phenomenon. The Skocjan Caves is made up of several limestone caves, collapsed dolines or sinkholes, underground passages, deep caves, and a number of waterfalls. These caves are well known as a site where one can study the karstic phenomena and Karst topography. The study of Karst topography is the study of a landscape that has been shaped through the dissolution of layers of carbonate rock, such as limestone or dolomite. 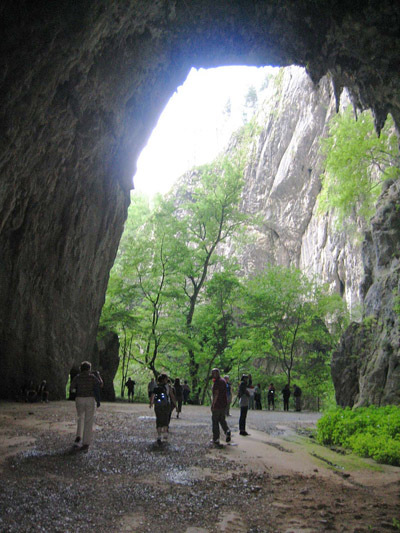 The Skocjan Caves contains five kilometers or about three miles of underground passages. It also contains caves that are about 200 meters or about 656 feet deep. The Reka River is a river in Slovenia that disappears through the Velika Dolina where the water goes underground through the Skocjan Caves then out the Adriatic Sea. During the rainy season when the river is full of water, the sight of it disappearing through the end of the Velika Dolina is a sight to behold, as well as a sight that would make one’s skin crawl. The areas in the region of the Skocjan Caves are very rich in archaeology. There have been indications that the place was inhabited since for more then ten thousand years. About three thousand years ago, the caves were a very important pilgrimage site in Europe. The natural beauty of the place together with the rich archaeological significance of the region makes the Skocjan Caves the place to visit. Did the Slovenian caves moved to Slovakia ? Only thing in common we have is currency.